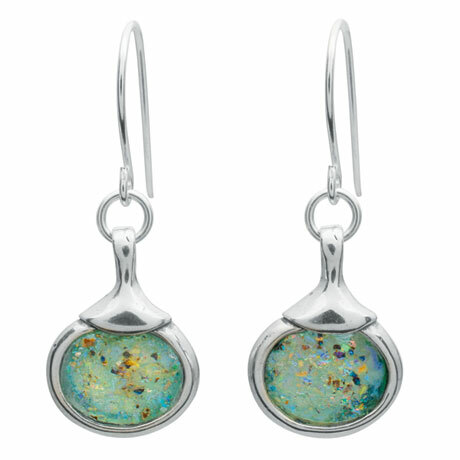 Fragments of glass from the time of the Caesars are simply framed in sterling silver frames. Age has made them opalescent, full of sparkle and fire. 5 /8" pendant hangs on a 17" sterling chain that secures with a lobsterclaw claps. Earrings hang 1 1 /8" from sterling wires.